Rear Admiral Frederick C. Billard was born in Washington, D.C. on 22 September 1873. He was appointed a cadet from Maryland on 11 January 1894 and received his early training on the practice ship, USRC Chase. He was appointed a Third Lieutenant in the Revenue Cutter Service on 27 April 1896 and a Captain on 12 September 1912. During the Spanish-American War he served on the Cutter Corwin, then attached to the Pacific Fleet. From 1900 to 1905 he was navigator and instructor on USRC Chase and from 1906 to 1911 he was Aide to Captain Worth J. Ross, Chief of the Revenue Cutter Service. In 1918 he commanded USS Aphrodite, operating in the European War Zone. This was the first American war vessel to pass through the Kiel Canal after the signing of the Armistice. 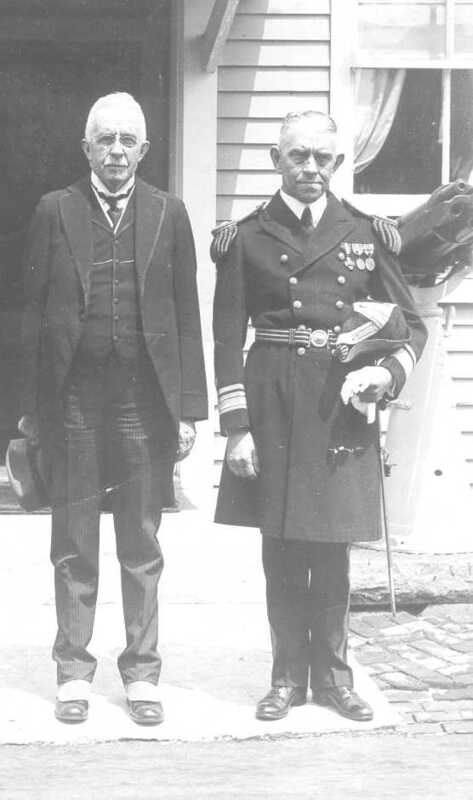 In May 1919 Admiral Billard returned from Europe and became Aide to the Commandant of the Coast Guard. 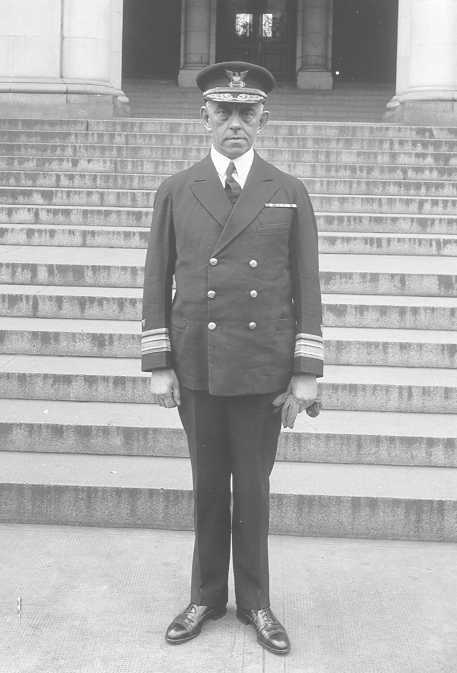 He was made Superintendent of the US Coast Guard Academy at New London, Connecticut, in 1921. With the rank of Rear Admiral, he succeeded William E. Reynolds as Commandant on 11 January 1924. Billard’s tenure saw great change and challenge for the Coast Guard. The service grew considerably, both in vessels and manpower, as a result of Prohibition. New patrol craft, and the personnel to man them, were needed to interdict the importation of alcohol. The procurement and construction of these ships along with the acquisition of destroyers from the US Navy posed many problems for the service. Billard oversaw the incorporation of these new vessels and the re-organization of the service with great skill. With his experience as Academy Superintendent, he also led a campaign for improvements. The result saw the reform of the curriculum and the eventual construction and re-establishment of the Academy at its current New London location in 1932. Not only was he an indefatigable worker, he was personable and seemingly knew most of the Coast Guard officer corps even to the most junior level. This engendered a deep sense of loyalty in all of those who served under his command. The Navy Cross is presented to Frederick C. Billard, Captain, U.S. Coast Guard, for distinguished service in the line of his profession as commanding officer of the U.S.S. Aphrodite, engaged in the important, exacting and hazardous duty of transporting and escorting troops and supplies through waters infested with enemy submarines and mines.